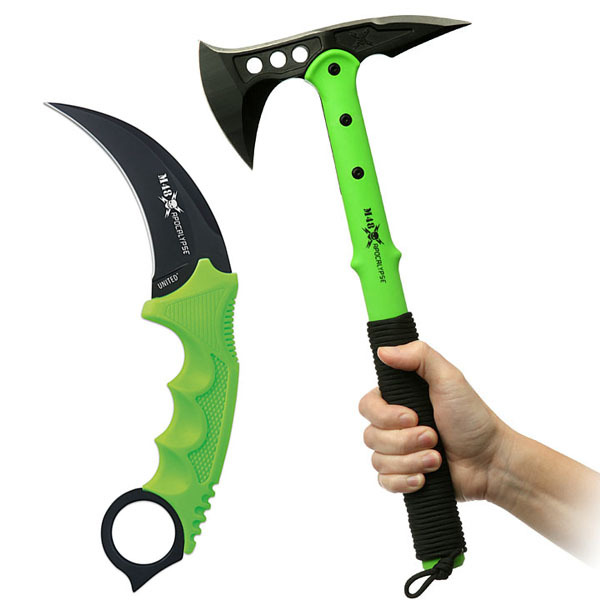 Some of you may call them weapons, others will say they’re survival gear; but for us, the M48 Apocalypse Series Axe & Karambit are just everyday necessities for the soon to be post-apocalyptic world. 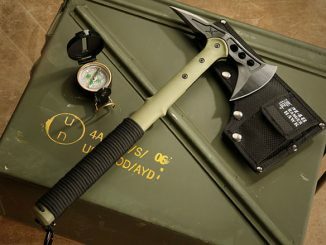 Like the M48 Ranger Hawk Axe GeekAlerts showed you earlier, the M48 Apocalypse Series Axe features a nylon reinforced handle with an axe and spike. 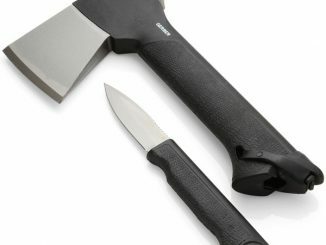 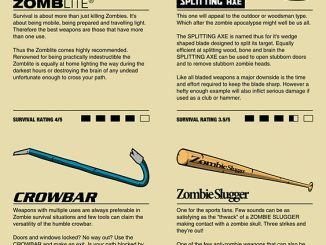 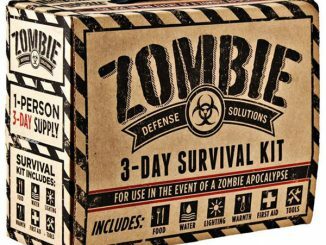 Perfect for chopping wood or cracking zombie skulls! 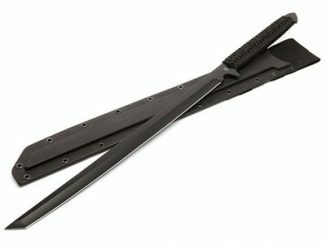 The Karambit is a whole other beast. 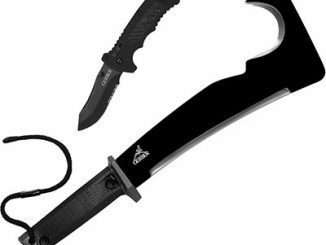 Smaller and lighter than the Ka-Bar Zombie Killer Knives, this self-defense knife features a curved 4″ ultra sharp 7CR13 stainless steel blade with a contoured and rubberized handle for a sure grip. 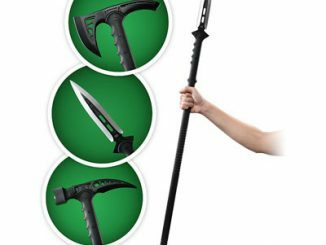 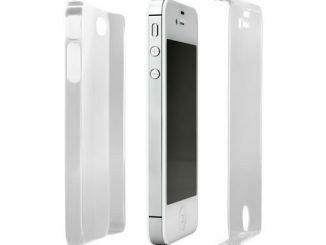 Contoured and rubberized handle for a comfortable and secure grip. 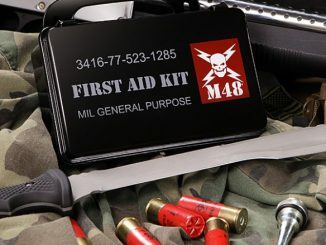 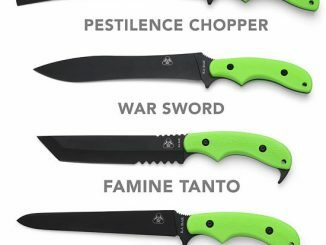 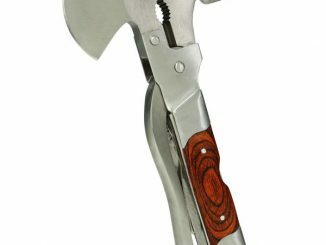 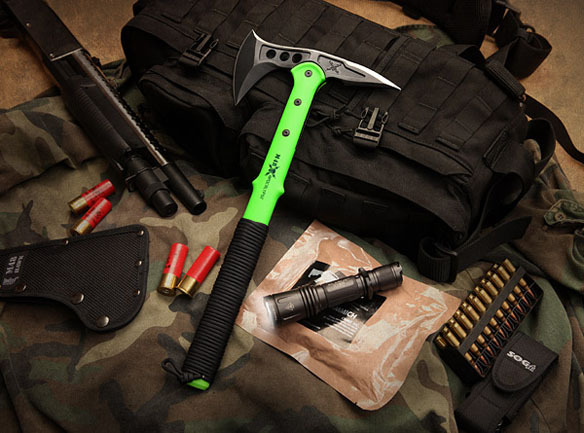 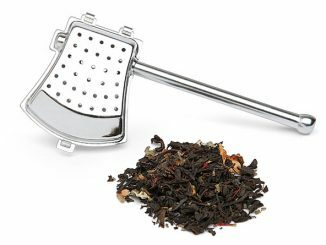 You can purchase the M48 Apocalypse Series Axe & Karambit individually or as a package deal at ThinkGeek.com from $39.99.